I sold TV and radio for several years. I believed it worked for my clients – especially those who just wanted a little brand awareness. I started in 2002 – in the days when you couldn’t really measure awareness or engagement beyond Nielsen ratings, let alone ROI. Then my customers started saying they wanted digital advertising. They wanted to know that their marketing dollars were really working for them. They had to show ROI to their boss, board, whoever it was. I needed to get with the times. I needed to move to a digital marketing company – so I could offer clients everything they needed to grow their business and tell their stories in a new and different way. I landed at Advance Media New York in January 2017. And, it was hard. I was a fish out of water. I love working with people, coming up with solutions and the creativity behind whatever media platform you’re using. But I didn’t realize how little I knew about digital marketing. I joined a place with 100 digital experts – all with a specific field of expertise – who have been doing SEO and SEM before most people even knew what it was. And, I’m learning. Fast. What I love the most is the ROI that I can show my clients. It’s a blessing and a curse because the reporting doesn’t lie. With traditional media you can explain away why sales didn’t improve, why floor traffic didn’t pick up, or why no one said they saw your ad on my channel. But when you present a digital plan, it’s clear that we are 100 percent accountable to what is happening with their investment. Going over their results monthly, you can easily see whether it’s working…or not. Now I find it fun optimizing my clients’ campaigns. Figuring out what’s working for them, making changes to ensure they get a real return for their money. So that when they’re sleeping, their marketing dollars are still working for them. Today, most Upstate New York companies need to do business outside their backyard – statewide, regionally, nationally, globally – and need to target a very specifc person. That’s almost impossible to do with traditional media. For us, it’s literally setting the parameters geographically and demographically. Technology has brought geography down to zero. It doesn’t matter where you are. We can digitally reach you anywhere, anytime, nearly any place. Now I’m having fun. I know that I can make the needle move for my clients. It just depends on how much gas they want to pour on the fire. 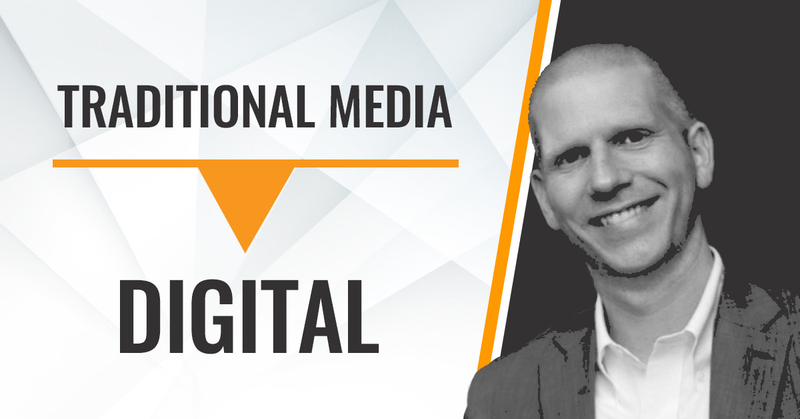 Have you added digital marketing to your media mix yet?